account based marketing - noun (out-bound·mahr-ki-ting): 1. the discipline of targeting prospects within specific accounts to engage them in a selling relationship regarding a company's products and services. 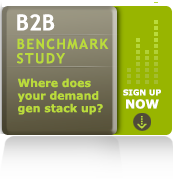 Account based marketing to b2b companies is a demand generation and lead gen activity that produces fast and profitable results. Targeted lead generation, be it CPL based content syndication, appointment setting, or targeted nurturing, ABM generates leads and opportunities. Opportunity, revenue, and accountable ROI can best be achieved by implementing unified demand gen programs combining inbound marketing and outbound marketing components. The two provide a 1-2 punch that deliver demand gen performance. What better way to engage a marketing services vendor than to only pay for what you get. Green Leads prides ourselves in being a pure Pay-For-Performance company. We generate appointments for your sales team to engage with. Once the meeting takes place, that is when we invoice. Unlike other vendors in this space that motivate their reps to deliver quantity of meetings, the Green Leads team is incentivized to provide a quality meeting that actually takes place.